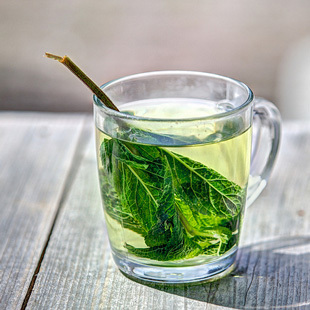 For starters, there is far more than one type of green tea. Green tea is not a single drink but rather a category, with each type being completely unique in many ways. There’s teas like Longjing, Bi Luo Chun, Jiangxi, Sencha, Matcha and Yerba Mate. While some of these are naturally caffeine free, or have only small trace amounts, others have more caffeine than black tea! Yerba Mate for instance was actually called ‘the world’s greatest stimulant’ by none other than Charles Darwin. Caffeine is a type of stimulant known as a xanthine and Yerba Mate actually combines this with two other xanthines, those being theobromine and l-theanine. The result is said to be a kind of wakefulness ‘without the jitters’. Interesting yes, but certainly not caffeine free! It’s true however that as a rule, green tea contains less caffeine than black tea. If you were to replace your regular tea with a standard shop-bought ‘green tea’, then you would likely reduce your caffeine intake by about 70%. On average, green tea contains about 25mg of caffeine which is significantly less than black. Very few green teas are completely caffeine free though and those that are have usually undergone a decaffeination process. Should You Switch to Green Tea? So with that in mind… should you switch? The answer should depend on your reasons for wanting to reduce caffeine. It’s certainly true that caffeine does have some negative effects. Caffeine can make it difficult for some people to get to sleep, it can make you irritable and it is also addictive. There are some people who believe that morning ‘sleep inertia’ (the grogginess we experience upon waking in the morning) is often actually caused by caffeine withdrawal primarily! But then again, caffeine also has a number of positive effects. Not only is it shown to boost memory, attention and focus but it is also protective against dementia and Alzheimer’s disease (1). Tolerance is normally reversed after just a week away from caffeine and the only real withdrawal symptom is a mild headache. What’s more, it’s also worth considering that chocolate and many soda drinks also contain caffeine! Green tea is a very healthy drink that has numerous benefits. It’s less caffeinated than tea and in some cases offers cognitive benefits through other xanthines. So certainly, switching to green tea won’t harm you and will probably provide a number of mild positive effects. Just make sure you’re fully aware of the facts before you make the decision to switch! Do You Need Wraps and Straps for Weightlifting?